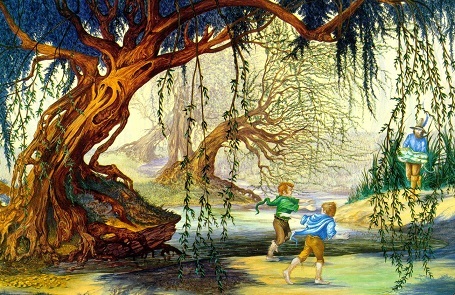 Tom Bombadil - A mysterious character who lives in the woods outside the Shire and is married to a river nymph named Goldberry. Twice he saves Frodo and his companions from danger; first from Old Man Willow in the Old Forest, and then from the Barrow-wights in the Barrow Downs. He is ancient being, even rivaling the Ents in age.